SPOILER ALERT: The following article contains spoilers from this week’s issue of BATMAN. Amanda Waller has an explosive way of keeping her team of super-villains in line. Or did she forget to mention that to Batman? Either way, he learned the danger of forming his own Suicide Squad in this week’s BATMAN #11! 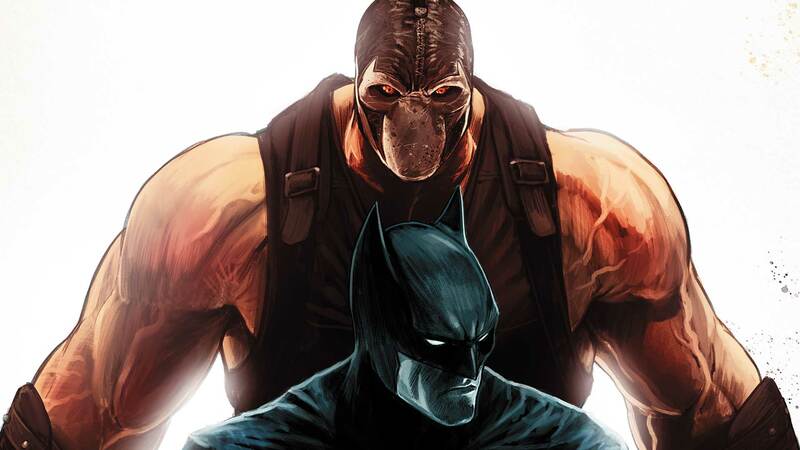 In the third issue of Tom King and Mikel Janín’s “I Am Suicide” storyline, the intricacies of Batman’s plan to infiltrate Santa Prisca and steal the Psycho-Pirate from Bane are revealed. Punch is the only man to have ever escaped Santa Prisca and Jewlee is the reason he escaped. Naturally, Bane isn’t one to let an affront like that go and would love nothing more than to have the two masked lovers back, an arrangement that Bronze Tiger is hoping to facilitate. That’s what they tell Bane at least. In reality, they’re nothing more than a distraction for Bane as Catwoman and the Ventriloquist kidnap the Psycho-Pirate. But cats so rarely do what you want them to. Leaving the Ventriloquist behind, Selina shocks Bane and Batman alike as she intervenes in Bronze Tiger’s negotiation…by way of a whip around his neck. And then… Well, this happens! Oh, how far this cat has fallen. And poor Punch and Jewlee. We’ll miss the red-and-green little rascals. But more than anything else, WHAT THE HECK IS BATMAN GOING TO DO NOW?!? You’ll find out when “I Am Suicide” continues on December 7th!